According to the Bhagavat-Purana, an ancient Vedic history, there was an evil king named Vena (the Sanskrit root of the word venal, corrupt) who wreaked fear and havoc upon the people. He spent no time or energy offering sacred sacrifice or recognition to God. He believed that he was all the god the people needed. It is reminiscent of some of our current crop of political leaders and kings. Eventually, the brahmans or priests had to put him to death by the use of mantra or divine sound vibration. From his arms, the brahmans churned out a new king and queen. They were called King Prithu which means ‘king of the earth,’ and Queen Archi which means a ‘ray of light.’ (How is that for hooking up with your soul mate? The two of you are produced simultaneously from the same source!) The sages predicted that King Prithu’s name and fame would spread throughout the earth. They declared that Queen Archi had such a beautiful smile and attractive qualities that she would actually beautify the ornaments she wore. 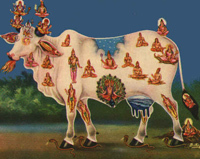 Goddess Bhumi, Mother Earth, appeared in the form of a cow. The reason she so often appears in the Vedas in the form of a cow is because the earth and the cow are both symbols of the divine mother. They give life to and nurture all beings without judgement or reproach. The Earth Goddess, Bhumi, is also regarded as the wife of Vishnu, or God Himself. According to yoga philosophy, there are seven females who are to be looked upon and treated with the same respect one would offer one’s own mother. They are: one’s own mother; the wife of one’s teacher; the wife of a holy man; the wife of the king or prime minister; the wet nurse or nanny; the cow; and the earth. 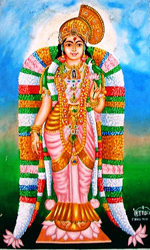 She explained to King Prithu that prior to his taking birth on earth, she had been left unprotected and uncared for by a generation of thieves who posed as leaders — unrighteous beings who had not undertaken any spiritual observance and were unwilling to make sacrifices on behalf of the people. Sacrifice here is used both in the sense of personal sacrifice and sacred offerings to God. Therefore, she withdrew the herbs and plants into her body so they could be preserved for use in the performance of sacrifice. Recognizing the virtue of King Prithu, Bhumi encouraged him to bring forth from her body what was required for all types of beings by milking her, since she is like a kama-dhenu, a divine being in the form of a cow who is capable of fulfilling all desires. According to this historical reference, it is the king’s or government’s duty to bring forth the abundance of the earth for the benefit of the people. Prithu, the first human king, is required to cultivate the earth’s barren nature and to tap her fertility. It is described that Prithu leveled the earth’s mountains and hills to make her fit for agriculture. Bhumi instructs Prithu to milk her like a cow. Although she is fertile and potent, she cannot yield her abundance without being milked by the king. The role of the king in this regard is as a male, heroic figure who will bring out the best in the female earth goddess. Conversely, it is understood that the king’s reign will not be fruitful or successful unless he can draw forth the richness and abundance of the earth for the commonwealth of the inhabitants. This is their symbiotic relationship. Just as the king is required to activate the earth’s fertility, so the earth’s beneficence and bounty is necessary to bring success and fame to the king’s reign. The following events and symbolism of the account illustrate the king’s ability to draw forth from the earth her treasures and abundance for the benefit of all living beings. Bhumi instructs Prithu that three things would be required — a calf, a suitable milk pot, and someone to draw the milk. Full of affection for the calf, she would yield all desired objects. Prithu then transformed Manu, the progenitor of the human race and a perfected human being, into a calf and milked all the herbs and grains from the earth in the form of a cow, collecting them in the container of his cupped hands. The sages transformed their high priest, Brihaspati, into a calf and milked the earth to receive the Vedas, the divine wisdom emanating from the spiritual realms. This they collected using the organs of hearing and speech and stored it in the container of their minds. The gods transformed their leader, Indra, into a calf and milked the earth to obtain soma, the nectar of immortality, as well as mental vigor and physical strength. These they collected in a golden vessel. The demons transformed their most evolved son, Prahlad, into a calf and milked the earth for wines and spirits, which they happily carried away in an iron bucket. The Gandharvas, the group of gods who are dedicated to music and the arts, transformed their most gifted practitioner into a calf and milked the sweetness of song and the beauty of music from Mother Earth. They collected these ethereal elements in a lotus flower. The Siddhas, who are evolved spiritual adepts, transformed their leader, Kapila, into a calf and milked from the earth-cow the eight mystical powers including the ability to fly through the air. These they collected using the sky as their container. The eight mystical powers or siddhis are as follows: anima-siddhi is the power to become so small that one can enter into a stone or pass through any obstacle. Mahima-siddhi enables one to become so large that one covers everything. Laghima-siddhi allows one become lighter than light itself — one can even ride upon the sun’s rays. Prapti-siddhi allows one to acquire anything from anywhere. Prakamya-siddhi enables one to experience any enjoyable object, either in this world or the next. Ishita-siddhi gives one the power to manipulate and control the energies which create and sustain the universe. Vashita-siddhi brings others under one’s dominion or keeps oneself beyond the control of material nature. And finally, Kamavasayita-siddhi bestows the maximum powers of control, acquisition and enjoyment. The mystical magicians transformed a demon named Maya into their calf and milked the cow to obtain magic and the art of disappearance and reappearance in a different form (shape-shifting). The concept here in the recruiting of a demon as their calf is that magic and the illusory arts are not spiritual in nature but material. Therefore, they are a product of ego and not of Self. Whereas the Siddhas are highly evolved spiritual beings and their mysticism is only performed with a spiritual purpose in mind, that is, to aid in the fulfillment of God’s divine will. The ghosts, demons and hobgoblins, who are habituated to eating flesh, transformed their leader, Rudra, into a calf and milked from this wish-fulfilling cow beverages made of blood, collecting them in a human skull. The snakes and serpents transformed their leader, Taksha, into a calf and milked Mother Earth for her poisons. They carried away these venomous juices in their mouths. The gentle animals who are herbivores transformed a sacred bull into their calf and milked the cow for her grasses. They used the forests for their container. The carnivores transformed a lion into their calf in order to milk flesh from Mother Earth. This they stuffed into the container of their bodies. The birds transformed the man-eagle Garuda, the divine carrier of Vishnu (God Himself), into a calf and milked the earth in the form of a cow for her insects and fruits. The trees transformed the sacred banyan tree into their calf and milked the cow for her saps. Finally, the mountains transformed the sacred mountain, Himalaya, into their calf and milked the earth for her minerals, storing them in the basins between their ridges. This beautiful story shows how the earth provides everything desirable for all her children. She only asks to be treated respectfully and lovingly like the loving mother she is and she will render her bounty out of love just as the cow gives her milk out of affection for her calf. When we see countries and lands producing little or no produce and grain for their people and animals, where there are many natural disasters or wars as well as famine, pestilence and disease, we are witnessing Mother Earth in revolt. In the above story, the corrupt King Vena was deliberately put to death by the brahmans and a God-conscious king and queen were established in his place. 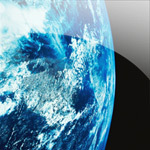 At that time, the earth began once again to produce her wonderful bounty for her citizens and animals in every sphere. Under corrupt leadership or misrule, the earth will gradually stop delivering the things necessary to maintain life. Economies will weaken and people will have a difficult time trying to sustain their lives. It is the primary duty of the king to ensure that the people are protected and that they have all requirements for a comfortable and bountiful life. That is the sole purpose of the king or government. In our contemporary world, so many of the world’s cows are bred for their beef to be consumed by people raised to be carnivores. The ancient, sacred symbol of motherhood is killed and eaten for her flesh rather than loved and protected for her milk, the world’s most perfect food. This same attitude toward mother is also currently evident in rap music which is a product of inner-city streets, ghettos and housing projects. The worst thing you can be called is a mother f**ker. But that epithet has now become common parlance. What could be more disrespectful to the mother? What could be much worse than perpetrating the act it describes? Perhaps a mother killer? For thousands of years, cows have been an integral part of society, revered for their life-giving qualities and strength, even regarded as a measure of wealth. In ancient Vedic times, there were millions of cows upon the earth but they were not targeted for slaughter to be sliced into hamburgers and steaks. Happily yielding their perfect food, milk, and its byproducts such as butter, cheese and yogurt has always been their purpose here on earth. The perfect food for an infant is mother’s milk. Once a child has been weaned from mother’s milk, then the perfect food for her physiological development becomes cow’s milk. Cow's milk does not increase cholesterol. On the contrary, it provides many nutrients necessary for the well being of the body and the enhancement of brain function. It increases energy, virility and vigor. Milk has a cooling, stabilizing and grounding effect on the body and the psyche. It reduces anger, frustration, jealousy and resentment. It calms the nerves, diminishes stress and anxiety, and promotes sound sleep. Milk improves the quality of the reproductive substance, sperm and ovum, in the body. Cow's milk is rejuvenating. It increases tissue growth, improves memory and strengthens immunity. It is easily digested and assimilated by the body when it is served hot or warm and after boiling. It is especially good for mothers who are breast-feeding their babies. As they reach adulthood, some people may become more lactose intolerant. If such people are going to drink milk, then it must be taken hot, never cold, in order to be properly assimilated by the body. I discussed this with an Ayurvedic doctor friend, Janet DiGiovanna, who has been practicing for over thirty years. She said that according to her experience, we are overly repressed and diminished in our prakriti or feminine nature because we live in such a driven society. It’s too aggressive, too assertive. There’s too much anger, too much violence, too much competition, too much greed and too much envy. There’s too much callousness and insensitivity. All of this is the masculine energy out of whack, run amok. She said we don’t have the balance and we therefore lack the capacity of what the yin energy provides. Therefore, we cannot take milk and assimilate it. We used to be able to do that in former times but that ability is diminished now. So, in that sense, milk is not so good for us if we don’t have the capacity to assimilate it. Milk is medicinal in counteracting diseases arising from an imbalance of the fire element in the body, which is known as pitta in Ayurvedic medicine. These are problems with liver, gallbladder, bowels, ulcers, heartburn, hyperacidity, gastritis, inflammation and infection. Also skin disorders including hives, rash, pimples, acne, boils, as well as blood circulation problems, high blood pressure, and fever. Yogurt has a binding quality and helps to relieve diarrhea and dysentery. Butter aids in the cure of skin diseases and helps to purify the blood. It too has a binding quality and for this reason, one should not eat too much butter as it causes blockage of the circulatory channels. However, butter improves memory, strengthens the immune system and the quality of the reproductive fluids in the body. Ghee or clarified butter from which the impurities and fats have been removed benefits the mind, the intellect and the memory. It fuels the digestive fire thereby improving digestion and the assimilation of food. It nourishes all bodily tissues and increases energy, vigor and vitality. Ghee is useful in combating diseases which result from an aggravation of the air element, vata, or the fire element, pitta. It is also effective in treating chronic fever and poisoning. It is often used as a main ingredient in treating specific ear and eye disorders and in healing wounds. In the Bhagavad Gita, Krishna or God tells Arjuna that “one should offer him a leaf, a flower, fruit or water with an attitude of love and devotion.” When food and other things are first offered to God, any negative karmic reaction attached to those things is neutralized. And the food is transformed into prasadam or the “grace of God.” When eating such prasadam, one’s negative karmic reactions are neutralized or removed. Notice that Krishna did not include slaughtered animals in his request. The more one is governed by the darker modes of delusion, such as demons, criminals and other destructive personalities, the greater their inclination to exclusively eat meat and flesh, rare or uncooked meat, and to drink blood. As we travel up the evolutionary scale, the devas or godly beings and angels are strict vegetarians. Nothing and no one dies to provide them with food and they do not delight in the taste of flesh and decaying carcass. The humans, governed by the mixed modes of contentment, desire and delusion, exhibit both the higher and lower dietary tendencies. Albert Einstein said, "Nothing will benefit human health and increase chances for survival of life on earth as much as the evolution to a vegetarian diet." In his book, “Beyond Beef,” author Jeremy Rifkin tells us the effect that beef and other meat production has on our environment. Beef cows now occupy a quarter of the world’s landmass. They pose an unprecedented threat to the global environment, to human health and to the economic stability of our civilization. Beef production is a major cause of world hunger, pollution, deforestation, the increase of desert areas and species extinction. The raising of cows for the consumption of their flesh literally threatens the future of the earth. Today, the world’s craving for beef, fueled by advertising, has caused an explosive cattle overpopulation problem. Seventy percent of the US grain harvest and one third of all the grain grown in the world is fed to cows and other livestock. The amount of grain which could provide every man, woman and child on earth with a cup of grain a day is instead fed to livestock. Meanwhile, a billion human beings suffer from chronic hunger and malnutrition. Fifty to seventy million people, mostly children, die each year from hunger and related diseases. According to the Surgeon General of the United States, seventy percent of deaths are related to diet, particularly the consumption of beef and other foods high in cholesterol and saturated fat. Study after study has linked the eating of red meat to the development of heart disease, stroke, and cancer of the breast and colon. Cattle ranching is a primary cause of rain forest destruction in Central America. In countries like Panama and Costa Rica, seventy percent of the deforested land is used for cattle pasture. Nearly forty percent of the Amazon rain forest destroyed in Brazil was cleared for cattle ranching. For every quarter pound hamburger exported from this region, 55 square feet of rain forest is destroyed along with 165 pounds of unique life forms found nowhere else on the planet. Beef production is an industrial process and the animals are treated as commodities rather than living creatures. In fact, the notion of raising animals for food consumption has now been replaced with the term, growing them. How can you grow something that is not planted in the ground? Shocked with electric prods, beaten and kicked, cows are packed into trucks for transport from feedlots to slaughterhouses. Injured animals are often dragged from trucks to the killing floor where the act of slaughtering them, even in the modern age, is primitive and violent. And besides being shot full of drugs and hormones to keep them disease-free while alive, the last thing the animals are shot full of is the adrenaline of their own fear just before they are killed. And when they are eaten, that fear, those drugs and hormones are transferred into the eater. And now, within the last few years, we have the added concerns of salmonella, listeria and E. coli bacteria as well as the mad cow disease epidemic. Any of these can actually kill a human within days of ingesting such tainted meat. There are new strains of these pathogens who have evolved themselves to resist all the commonly used antibiotics aimed at destroying them. The United States Department of Agriculture has found that E. coli is already widespread among cattle herds and there is no proven effective means of curtailing it at this point in time. In the past fifty years, farmers have altered the beef cattle diet from hay to grain in order to boost growth rates and reduce costs. When grazing animals are fed fiber-deficient feeds, it changes their microbial ecology and subsequently, they become more susceptible to metabolic disorders and infectious diseases. The rapid spread of mad cow disease in Britain is believed to have resulted from feeding cattle meat and bonemeal from animals who were already carriers of the disease. The tainted meat from these cows was linked to the deadly outbreak of Creutzfeldt-Jakob brain disease in over one hundred humans. Since the discovery of mad cow disease in Britain in 1986, several European countries as well as Japan have turned up similarly tainted cows. Current regulations in the U.S. still permit the feeding of animal blood and blood products as well as pig and horse protein to cows. They also allow poultry and poultry manure to be used in cattle feed. Do you not think the current widespread effect of these diseases may be Mother Nature’s warnings about the destructive consequence of cow slaughter and flesh consumption? On the range, a beef cow consumes 900 pounds of vegetation each month. As much as 85 percent of the American range is degraded, primarily by overgrazing. Unsustainable methods of growing feed for beef cattle are also ruining land on five continents. Worldwide, deserts are growing by 1.5 million acres a year, while erosion removes another 52 million acres from productive use. The US has already lost a third of its topsoil. Nearly 85 percent of this erosion is directly attributed to livestock production. The price we pay for every pound of US grain-fed beef is 35 pounds of eroded topsoil. Almost half of the water consumed in the US each year is used to grow feed and provide drinking water for cattle and other livestock. As a result, fresh water reserves are dropping sharply. Organic waste from livestock, pesticides and fertilizers used to grow livestock feed, and the salts and sediments generated in the process are the primary non-point source of water pollution in the US. A feedlot with 10,000 head of cattle produces as much waste as a city of 110,000 people. In fact, cattle produce a billion tons of organic waste each year. Nitrogen from cattle waste is converted into ammonia and nitrates that leach into surface water, contaminate water reserves and kill aquatic life. Global warming is caused by a buildup of gases, carbon dioxide, nitrous oxide and methane that block heat from escaping the earth’s atmosphere. The burning of forests to create cattle pasture releases hundreds of millions of tons of carbon dioxide as does the burning of massive amounts of fossil fuel to produce cattle feed. It takes a gallon of gas to produce and deliver every pound of US grain-fed beef. Petrochemical fertilizers used for cattle feed crops are a significant contributor to rising nitrous oxide emissions. Tens of millions of tons of methane are released into the atmosphere through the digestive systems of the world’s billion-plus cattle. As more land has been turned over to cattle, wild animals have disappeared. Pronghorn, bighorn sheep and elk have been reduced by 95 percent on their US range. Millions of wild predators and ‘nuisance animals,’ including mountain lions, wolves and birds are exterminated by the US government each year as a ‘public service’ to ranchers and livestock interests. In Australia, four million kangaroos are killed each year so that they will not compete with cattle for food. In Africa, cattle fences block the migration of wild animal herds and condemn them to starve or die of thirst.